After feverish anticipation and weeks of soft launch tryouts, Skull Island: Reign of Kong officially opened its doors to willing adventurers last week. 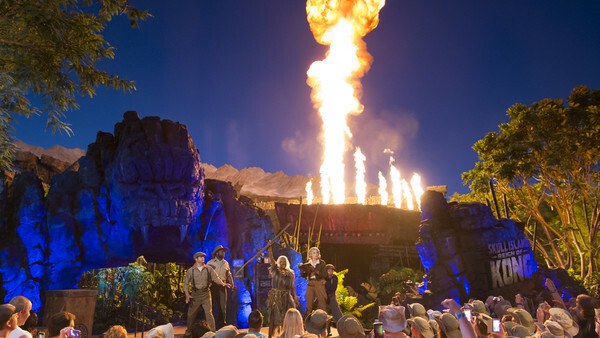 Set in the 1920's, Universal Studios Orlando's much-talked about new ride invites guests to join the 8th Wonder Expedition team as they explore the mysterious Skull Island, battle some creepy creatures and fierce dinosaurs before coming face-to-face with the island's most famous resident ape. Skull Island: Reign of Kong is a thrill ride that combines 3-D screens and physical ride effects with animatronics that are three-story's tall and scare actors in the queue waiting to terrify you. 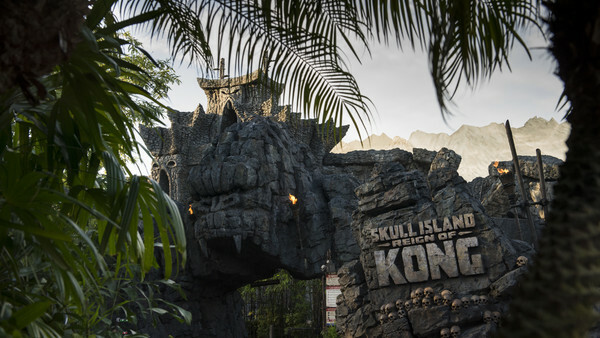 During a pre-opening media event Universal Creative Mike West made it very clear that the new Islands Of Adventure ride was not based on the upcoming Kong: Skull Island film and that although they had consulted with the team responsible for Peter Jackson's 2005 King Kong movie, the ride was to be a stand-alone attraction. If you have watched Jackson's film and even remotely seen images from the new ride, it's hard not to notice the similarities. One look at the entrance evokes memory of Jackson's film. Of course, you don't need to have seen Jackson's movie, or any King Kong film to enjoy this ride. 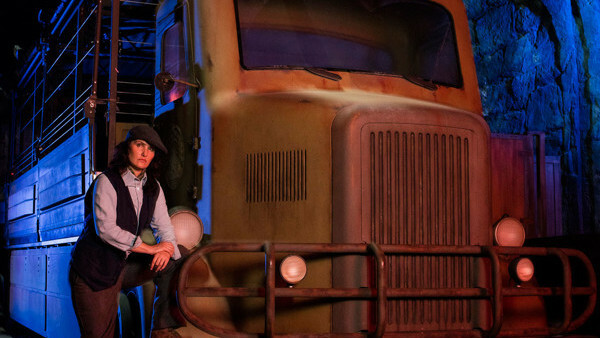 The only significant reference to any of the films is the appearance of truck driver Will Denham, said to be the cousin of the movie director character Carl Denham who is fascinated with finding Kong and showing him to the world. As long as you know who King Kong is, no other background knowledge is required and even that information isn't a necessity. It's a nice to not have to try and remember characters and back stories from an 11 year old film. 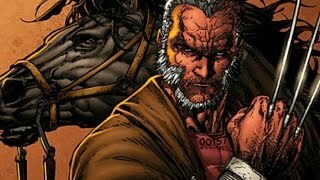 You can it for what it is, simply a great action ride. Part horror, part adventure. Universal Resort Orlando always promises to take you into the movies. Skull Island: Reign of Kong makes you part of a brand new film.